Chocolaterie Robert produces chocolate that is sold locally, but until now – has not been easily available outside of the country. Robert has been making chocolate from local Malagasy cocoa beans since 1940 working closely with local farmers. 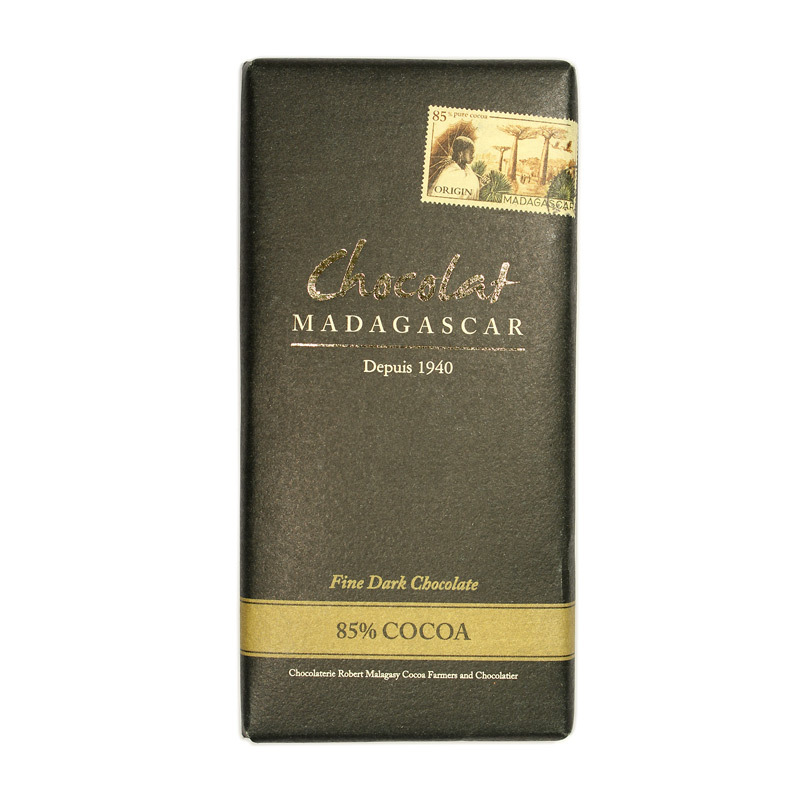 Underneath the simple, understated packaging of this bar, you’ll find some truly exciting Madagascan chocolate that shows of the rich flavour notes the island is famous for. It has a smooth texture and fruity, roasted flavour notes that are typical of cocoa from the area. This bar achieved a Silver at the Academy of Chocolate Awards 2017 and a Bronze at world level at the International Chocolate Awards 2016. Wow. This is something else. Crisp snap and good piece sizes. Super complex profile; just let it melt and reveal itself. I get roasted coffee beans, blanched nuts, hints of charred wood (even charred meat), herbal notes and some green fruits; there's rolling tobacco, a slight floral perfume and even a hint of blue cheese towards the end! Extraordinary stuff. The tannins are dry, but balanced by a nice fresh acidity. This is an intense chocolate, yes, but it's also an utterly gorgeous and approachable one.